In the modern era, WordPress has proved to be the most powerful platform to develop a website. There are always new updates coming in the procedure, themes and what not. Here we are going to talk about some of the best WordPress themes coming soon. Themes that you can use as ‘coming soon pages’ or as ‘landing under construction’. These themes are highly advanced and packed with new features like custom subscription forms, progress bar, countdown timer, contact forms, and social media icons. Read ahead to know about some of the best free WordPress themes under construction with one plugin for you to choose. 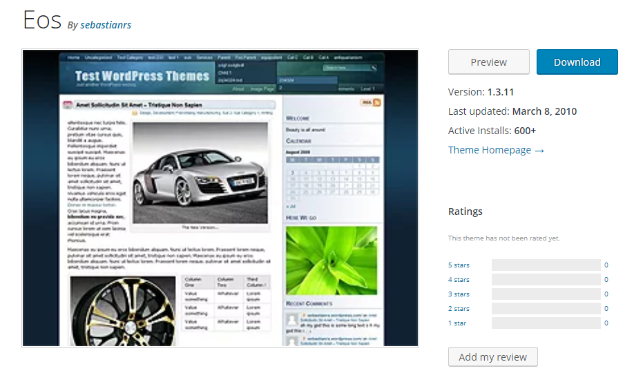 A theme is a simpler option, the thing about the plugin is, it allows you how to display, what to and when to display. – With constant updates and movements, Kallyas is a top quality multipurpose WordPress theme. A product by Power Elite Author and a Hogash design, it offers over 30 homepages with brand new material every month. You can play with its live customizer and its modifications in real time as it has WooCommerce as a store manager and Visual Composer as page builder. – The best part is, it consists of 100+ components featured for customization along with more than 6 sliders and numerous color mixing choices. You can get to have free updates and can enjoy its vast documentation as well as tutorials. With bbPress and BuddyPress you can create a community that can be identified with the page goals. – If you are planning to launch an app soon, EOS provides you a well-organized theme with a decent pre-launch landing page. The landing page has a finishing touch of Lead-Gen Form in order to build your email list. This theme comes with several accent color schemes. The theme would offer you an option of making a selection between light and dark versions of it that perfectly matches your brand design. – EOS offers 4 styles of layout that are font awesome icons, newsletter, Ajax based contact form, and testimonials. Moreover, it also has a pre-launch page through which you can stream while your product or app is still under construction. – Jevelin is created for webmasters with a unique and creative flair. It is made for the professionals who aim to accomplish professional levels of elaborated customization; and that too without having to know about coding. When it comes to website building in Jevelin, it is all about convenient use and a wide range of options. – Jevelin does not just install your preferable demo websites or page templates with a single click; it also consists of high-resolution images shown in the demos. The visual page builder, as well as advanced admin tools, allow you to own your website only in a few easy clicks. Jevelin is the right choice for web professionals who like to have absolute freedom for their creativity. Try Jevelin and let loose the flow of your creative juices! – Magnium is an enormously beautiful, visually fascinating, and incredibly flexible WordPress multi-concept theme. It is designed with the very diverse needs of utility such as commercial, business, and personal websites. With a bent for a certain specialty, Magnium pulls off like no other theme of the market can. – One such plus point of Magnium is, it excels in Coming Soon websites by offering countless appealing layouts designed professionally. Magnium incorporates powerful plugins like Visual Composer and WooCommerce. It offers you the freedom of building your own pages effortlessly and sell your wares through your website easily and securely. – Everything you would want to be customized, it can be done in Magnium. Furthermore, it provides you extensive shortcode functionality which means you can do so without writing so much but, a single line of code. With the help of Maintenance pages and Customized Coming Soon you are eligible to disable your website’s frontend temporarily. – You can handle stunning countdown timers and custom countdown widgets as you wish. With three assorted styles of blog layouts, you can keep your customers updated. Whereas beautiful Revolution Slider can keep them occupied and involved. Magnium keeps your visitors coming for more. Themes play a major role to keep your website active up to the mark as well as to attract more and more visitors. If you are looking for latest, high-quality WordPress themes, go to couponobox.com. Use coupons and promotional codes to buy themes at the most affordable rates but, do not miss on trying any of the above-mentioned themes.